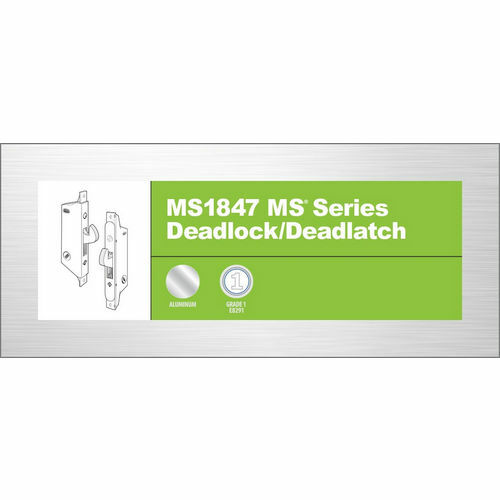 The stainless steel MS1950 Series MS Deadlock utilizes a laminated stainless steel bolt, activated by a pivot mechanism to provide maximum security for a single leaf narrow stile door. A huge bolt of laminated stainless steel, nearly three inches long, activated by an uncomplicated pivot mechanism, has made this basic MS® Deadlock the standard of the narrow stile door industry. The length of this bolt provides maximum security for a single leaf door, even a very tall and flexible one or an installation where the gap between the door and jamb is greater than it should be. 360° turn of key or thumbturn throws or retracts the counterbalanced bolt. Key can be removed only when bolt is in a positively locked or unlocked position. 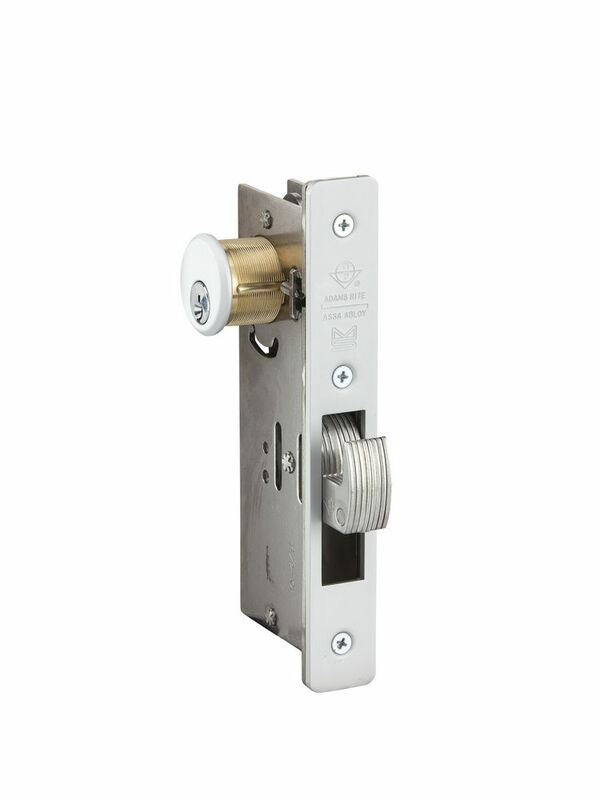 Lock accepts any standard 1-5/32” diameter mortise cylinder or thumbturn from either or both sides. Cylinder must have MS® dimensioned cam. Bolt: 5/8” x 1-3/8” x 2-7/8” with 1-3/8” throw. Eight-ply laminated stainless steel. Center ply has alumina-ceramic core to defeat any hacksaw attack, including rod-type “super” hacksaws. Strike: See catalog page for dimensions of strike slot which can be cut in metal jamb. Trim plate, box strike, and armored strike are available separately. Standard Package: Individually boxed with machine screws for mounting. Cylinders and/or thumbturns available separately. Shipping weight: 1-1/2 lbs. 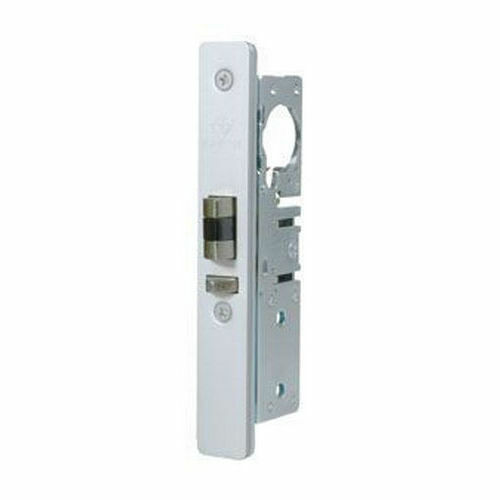 Compatible Products: 4015 Threshold Bolt or 4016 Header Bolt available separately for multi-point locking.